I\'m not sure what better combination of things there could possibly be. This chicken is simple and amazing! In a large mixing bowl, whisk together the water, salt, juice from the lemon and the minced garlic. Slice the lemon and add to the brine. Place the chicken breasts into the brine and let soak for at least 30 minutes*, in the fridge. Preheat the grill. Pull the chicken breasts out of the brine and pat dry. Discard brine. Grill over direct heat for 4 to 6 minutes per side, until cooked through. Grilling time may vary depending on the thickness of the chicken. While the chicken is grilling, add the avocado, juice from 1 lemon and chopped cilantro to small food processor and puree. 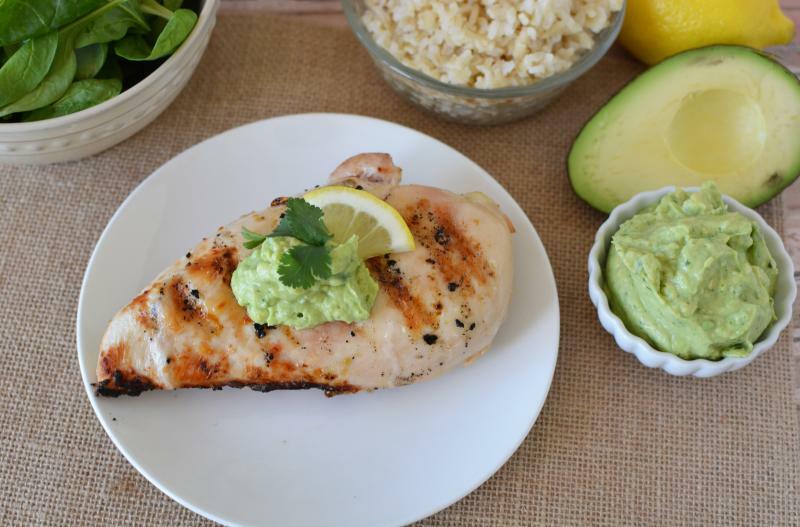 Use avocado sauce as garnish or dip for the grilled chicken. 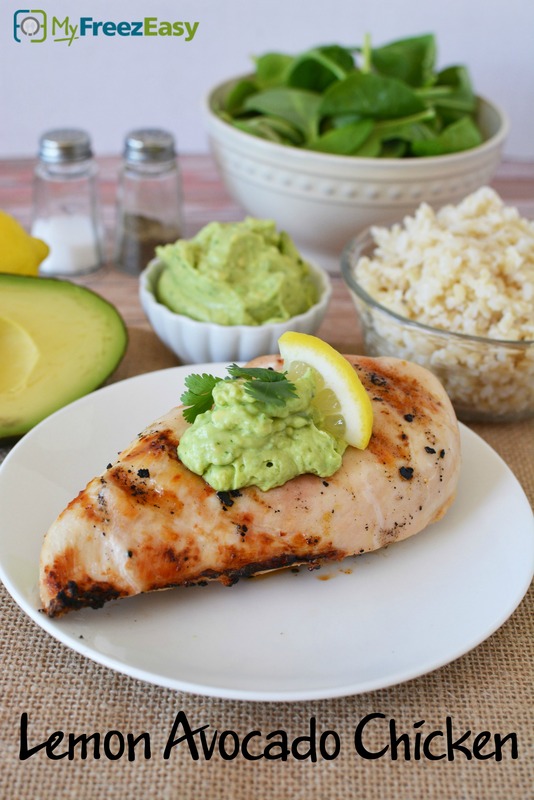 Serve Lemon Avocado Chicken with rice and salad. Put baggie in the freezer and freeze up to 6 months in fridge freezer or 12 months in a deep freezer. Thaw in the fridge overnight, or a warm bowl of water for about 20 minutes, before transferring to the grill and grilling as directed. Prepare the avocado sauce while chicken is grilling. Serve with cauliflower rice for complete Paleo meal. Thaw and cook on the grill for 4 to 6 minutes per side or until cooked through. Discard brine. Prepare avocado garnish or dip, as directed.